- Mount Head Weight (excl. tripod): 25kg. 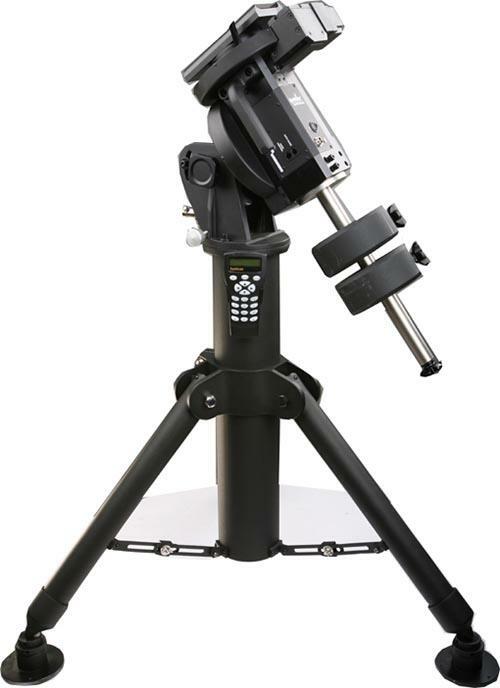 The Sky-Watcher EQ8 is an exciting new extra heavy-duty, observatory class German equatorial mount, with a payload capacity of up to 50kg. Quiet in operation, the EQ8 is supplied with the Synscan Go-To handset and can automatically find and track over 42,900 celestial objects from its extensive computer database. 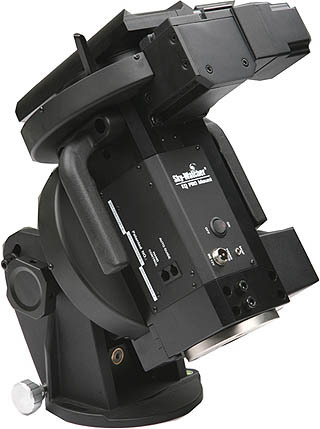 Available either complete with pier tripod or as the mount head only, to install onto a static pier. Two 10kg counterweights and the Synscan handset are supplied with both options. The EQ8 is equipped with a SNAP port which can control the shutter release of a camera. Working with the Synscan handset’s 'Camera Control' function, a user can take batch exposures when doing astrophotography. Up to 8 groups of 'exposure times & frame' combinations can be set on the Synscan handset. - Payload Capacity (excl. counterweights): 50kg. - Latitude Adjustment Range: 10° to 65°. - Azimuth Adjustment Range: +/- 10°. - Pier Tripod (optional extra): 29.4kg. - Counterweights: 2 x 10kg. - Power Requirement: 11 to 16 Volts DC, 4A. - Motors: 0.9° Hybrid Stepper Motor. - Maximum Slewing Speed: 3.3° per Second. - Tracking Rates: Sidereal, Solar and Lunar Rates. - PEC: 100 Segments Permanent PEC. - Object Database: 42,900+ Objects. - Pointing Accuracy: Up to 5 arc-minutes (RMS).